Turn on the style with the new H3300, a cool, contemporary addition to the InSinkErator range. 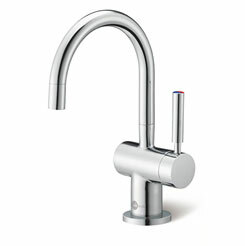 At home in the most stylish modern kitchens, it dispenses steaming hot filtered water using a single handle lever action. The H3300 also benefits from a hot push-lever locking mechanism.